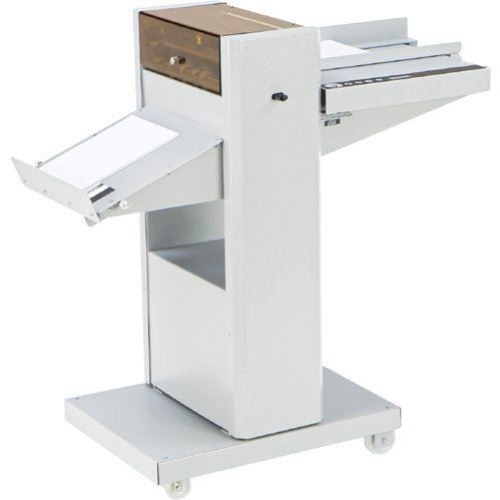 Profold Model 4040 Folder - Roberts Business Machines, Inc. 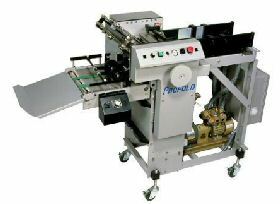 The Model 4040 vacuum fed folder is compact and will save floor space, time and double your production. It is equipped with Profold’s patented “No-Set-Gap-Set” technology, which takes the art out of folding. Gap setting is eliminated. Our patented Prothane Fast Track grooved fold rollers provide long-life and tight folds. 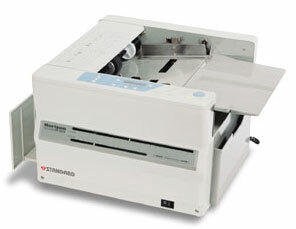 The Model 4040 has a feeding performance of up to 40,000 sheets per hour with 81/2 x 11″, twenty-pound stock. 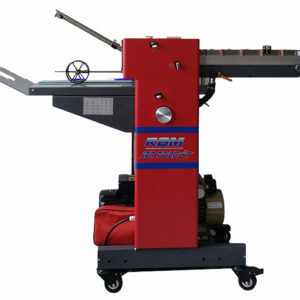 It is equipped with a stacking tray capacity of 750 sheets. The bottom vacuum feeder allows continuous reloading and operation. This eliminates work stoppage for shut downs that occur when reloading a pile feeder.